All the way from Brazil! I got an awesome email from a fan of my band The Rabid Whole. 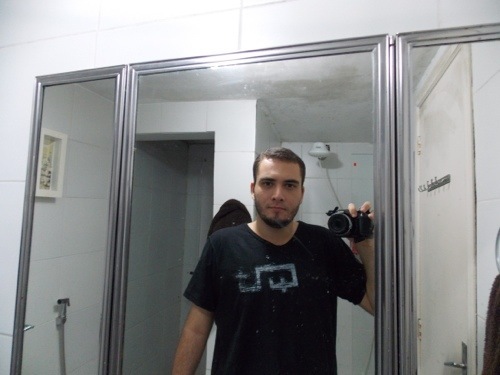 His name is Marcos, and he made his own TRW t-shirt, and has seen my blog, and decided to send me a pic of himself. Pretty cool, eh? I think so. On a side note, I’m coming back to my regular blogging schedule, very soon! This entry was posted on April 13, 2013 by Radutron. It was filed under Lavatory, People, Places, Washroom and was tagged with Bathroom, Brazil, fans, The Rabid Whole.